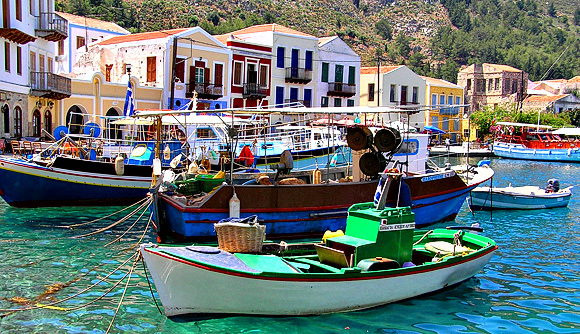 Symi, for all its tiny size, has always featured prominently in Greek history and mythology. The first documented inhabitants were the Carians, then the Leleges and after these the Phoenicians, fabled for their great seafaring prowess. The port of Niborios, 2km northwest of Yialos, was once a great commercial centre and features remains of a fine temple dedicated to Zeus. Symi has also been mentioned by Pliny, Homer, Herodotus, Thucicides and Aelianus, referring to the island by many ancient names such as Simeia, Metapontis and Aegli. Symi was famed for boat-building at and her peak was launching over 500 ships per year. Glaucus, the famed mythological swimmer was reputedly a son of Symi as was the warrior, King Nereus who led three ships from Symi to the Trojan Wars, quite an achievement considering that the “megalo” island of Rhodes could muster only nine. Today, there are less than 2,500 islanders left here, scattered throughout the main small towns of Yialos, Pedi, Niborios, Nanou, Marathounta and Panormitis, and they are known for their great hospitality and warmth towards the visitor. 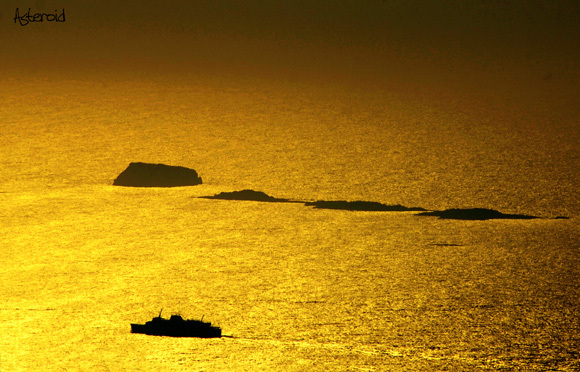 During World War Two, the islanders put up strong resistance to the German occupation. When the advancing Allies forced the Germans to flee, the retreating Germans detonated a huge ammunition dump up in the old town of Horio, destroying dozens of houses and businesses and causing the inhabitants to settle anew further down the mountainside. Horio still exists but is nothing other than a skeleton of its former glory. With the advent of the sponge industry, Symi prospered greatly until severe over fishing caused the income from this to decline to the point of no return in the mid-20th century. Symi now trades heavily upon its scenic beauty and relaxed, laid back atmosphere although income from the day-trippers totally outweighs that available from longer stay residents. Work is underway to construct a reservoir in the foothills to conserve as much water as possible. Many islanders view this as a mixed blessing. Symi’s chronic shortage of water has limited the islands tourist capabilities to a handful of hotels and guesthouses, allowing expansion to stay under control as it were. The building of the reservoir will more than likely cause new, larger hotels to be constructed with the resulting increase in revenue, at the cost of the peace and tranquillity that Symi is so famed for.